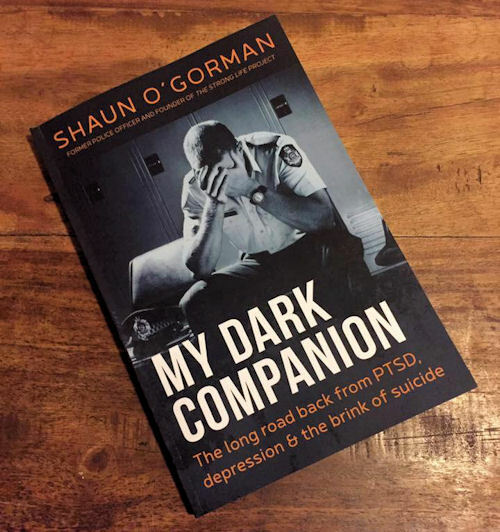 Shaun O'Gorman was a Police Officer for 13 years. He has just released his book, "My Dark Companion", that journals his Police Career, his battle with PTSD, Depression and Suicide, and the 15 year journey back to a happy life. He now helps other Police, Military and First Responders learn how to cope with the horror they see while still serving the community and doing their job. Shaun comes from a strong Police family; his father is a highly decorated officer who served in the Queensland Police for 42 years, and his uncle an Assistant Commissioner of Police. His father was the Qld Police Union president and dedicated his life to serving his community, & Shaun followed in his footsteps. "He was my hero. Policing is in my blood, it is all I ever dreamed of doing ever since I was 6 years old". Spending most of his 13 year career in the Police Dog Squad, Shaun was constantly involved in armed hold ups, sieges, vehicle pursuits, violent domestics, and much, much more. The toll that this work took on him lead him to becoming an angry and violent individual, but still he didn't realise there was a problem. After being diagnosed with PTSD and clinical depression, Shaun resigned from the Police, ashamed and a broken version of his former self. "I was in such a hole and I didn't know how to get out. I thought the only way I could make the pain stop was to end my life, I was desperate. The thought of losing my identity as a Police Officer was unbearable"
He was let down by the Police Department and has spent the last 15 years fighting PTSD and depression by educating himself on how to live a better life. This is the story contained in his book "My Dark Companion". He now works with other Police, Military and First Responders to help them understand the impact their job will have on them and how to cope with the horror they see every day.